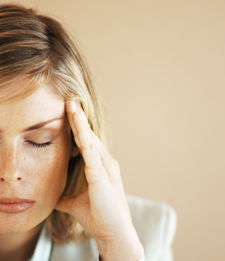 Pain relievers of various types are the most common approach to headaches. In our practice we take a more natural approach. Medications can help cover up the symptoms of headaches but our objective is to find and reduce the underlying cause of a headache. While we can’t guarantee results, we have a high success rate with patients who get headaches. We specialize in using the latest technology to get see exactly where the root cause of your headaches are. We don’t guess, we test. Let’s sit down and discuss your unique situation with your Thousand Oaks/Westlake Village Chiropractor.